How Do I Fix over-Plucked Eyebrows? Over-plucked eyebrows can be temporarily filled in with an eyebrow pencil. Eyebrow fillers can give a more uniform look to patchy eyebrows. 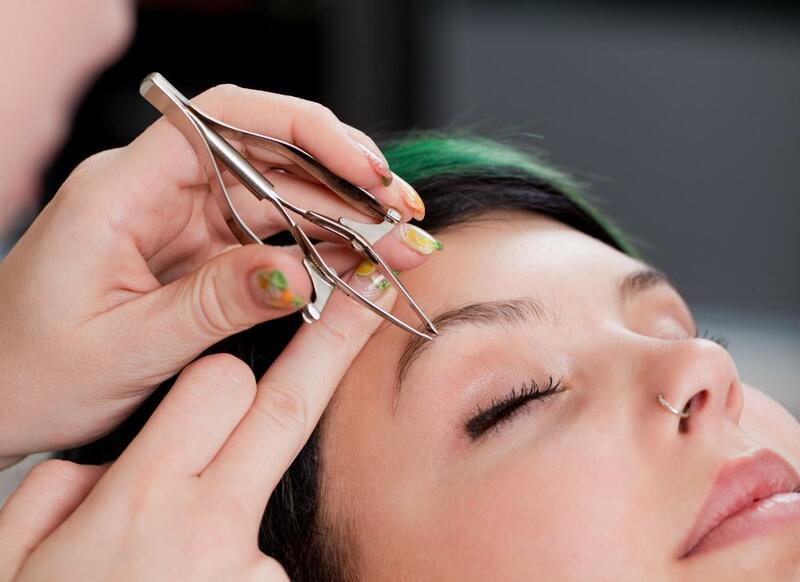 A professional shaping may help over-plucked eyebrows look better. Soft filler brushes can be used to blend out color added by an eyebrow pencil for a more natural look. Anyone who has ever had over-plucked eyebrows knows how embarrassing it can be. You can easily hide this beauty accident by filling in eyebrows with makeup and allowing the hair to grow back slowly. Eyebrow liners and powders can be purchased in a variety of colors to match your hair shade. If the growth of your eyebrows seems to be progressing slowly, experts recommend using a lash growth serum to accelerate the process. To prevent having over-plucked eyebrows in the first place, have a professional stylist design your eyebrow arch. 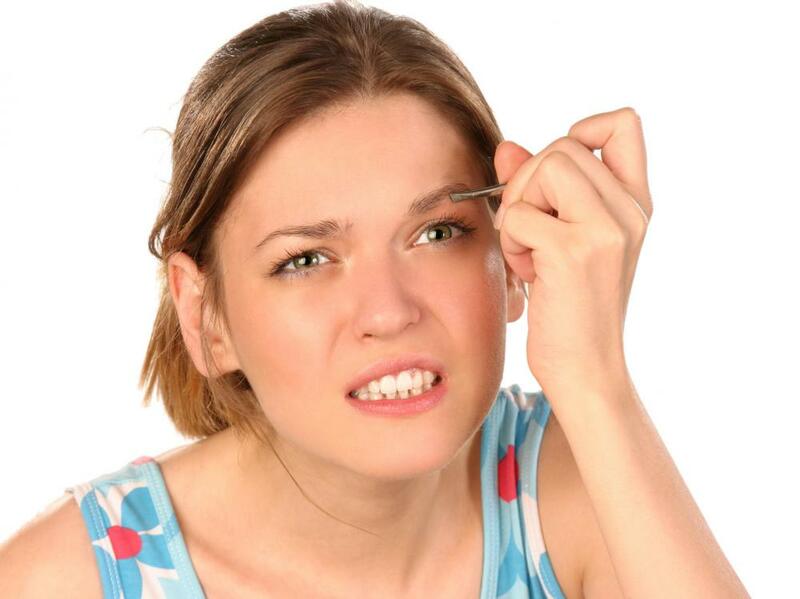 You should wait several weeks after over-plucking for your eyebrows to grow in before using tweezers again. The sparse areas can be filled in with an eyebrow pencil that is the same color as your eyebrows. Sharpen the eye pencil to a point and gently soften the tip by twisting it onto the back of your hand. When filling in bald spots on the eyebrow use short, upward strokes. Eyebrow powder locks the color from the brow pencil in place. It also helps the pencil lines to last longer. Choose an eyebrow powder that is the same color as the eye pencil and apply it evenly onto your brows with a stiff bristled brush. The same technique used to set the eyebrow pencil will help you set the powder onto the pencil line and correct your over-plucked eyebrows. Many beauty companies have created remedies for over-plucked eyebrows. False eyebrows can be applied, and stores commonly sell a one-size-fits-all eyebrow. Simply cut the false eyebrow with scissors if it is too long for your face. Special adhesive glue must be applied to your face to keep the false eyebrows in place. Choose false eyebrows that are two shades lighter than the color of the hair on your head. Constantly having over-plucked eyebrows can cause a decrease in new hair growth. Dermatologists recommend that you not pluck your eyebrows forcefully. Using too much force to pull the eyebrows with tweezers leads to inflammation of the hair follicle, which can stop new hair growth. If you consistently over-tweeze your hair at a young age, there will not be much left to reshape as you age. The only medical treatment available to replace damaged follicles is hair transplantation. How Do I Choose the Best Eyebrow Wax? What Is an Eyebrow Pen? What Is an Eyebrow Window? @heavanet - That is a good tip. Another option is to use eyebrow gel. Many makeup companies make this product, and it comes in a tube with a brush, much like mascara. The gel helps to keep the eyebrows in place. This product also comes in various colors, which helps to fill in the spaces or sparse areas that are caused by over-plucking. Though you may not like the looks of your eyebrows while you are fixing this situation, it is important to give them time to grow back. One way to deal with unruly hairs that you are trying not to pluck is to use an eyebrow brush to put them in place. A clean toothbrush also works very well for this type of eyebrow grooming.